Informal online communication channels are being utilized for official communications in disaster contexts. Channels such as networked microblogging enable public officials to broadcast messages as well as engage in direct communication exchange with individuals. Here the authors investigate online information exchange behaviors of a set of state and federal organizations during the Deepwater Horizon 2010 oil spill disaster. Using data from the popular microblogging service, Twitter, they analyze the roles individual organizations play in the dissemination of information to the general public online, and the conversational aspects of official posts. The authors discuss characteristics and features of the following networks including actor centrality and differential mixing, as well as how structural features may affect information exchange in disasters. This research provides insight into the use of networked communications during an event of heightened public concern, describes implications of conversational features, and suggests directions for future research. The utilization of informal online communication technologies is emerging as a useful strategy for public officials to engage persons at risk, to convey warning information, and to relay informational updates over the course of a disaster event. Traditional communication mechanisms, such as broadcast television and radio, remain key dissemination channels for persons at risk in disaster, but are directed and managed by a small number of major media corporations. Online communications enable organizations to manage their own communication activities and engage with stakeholders and constituents directly and in real time. As members of the public increase their information-seeking in disasters, it has become vital that public officials make use of new communication channels that enable direct interaction with the public online in order to monitor online milling activity (including local organizing and information exchange), directly engage in conversation with constituents, and adapt their messaging strategy to increase public protective action response. The 2010 Deepwater Horizon oil spill (DWH) was one of the largest accidental marine oil spills in the history of the petroleum industry, resulting in an estimated release of more than 206 million gallons of crude oil into the Gulf of Mexico. It began on April 20, 2010 with an explosion on the Deepwater Horizon drilling rig, stationed in the Gulf of Mexico approximately 400km southeast of Houston, TX. The oil well was capped on July 15, 2010, ending almost three months of constant oil flow. During this time, international attention was directed toward the Gulf of Mexico and the impact of the oil spill on local coastlines, including animal habitats and the resulting environmental destruction, economic effects on fisheries and tourism, and long term health effects on coastal populations. Online communications regarding the oil spill became one of the primary strategies of federal response agencies that established a single website (www.deepwaterhorizonresponse.com) to consolidate information dissemination and create a unified voice that linked to a number of social media technologies including Facebook, Twitter, YouTube, Flickr, and RSS feeds. This public facing website was just one strategy for online communications. Other agencies at the state and local level also utilized networked technologies to broadcast updates and interact with concerned individuals. The extent to which these organizations utilized social media technology, specifically the microblogging service Twitter, is the focus of this research. While many government organizations actively engage in informal communication mechanisms online, research has shown that governmental adoption of social media channels has been slow (Sutton, 2009; Sutton, 2010) or non-prioritized (Sutton, Hansard, & Hewitt, 2011). Public safety organizations that do engage social media have tended to utilize it as an additional channel to broadcast public information (Heverin & Zack, 2010), with little interaction online between the organization and its public constituent-followers. Prior research has included field studies, surveys, and online data collection activities. Missing is the systematic study of the structural properties of public officials’ communication networks and how these networks affect communication and engagement in disaster response. In this paper we conduct exploratory research on the networks and conversational microstructure of Twitter accounts held by public officials and governmental organizations. We focus on Twitter posts made during the Deepwater Horizon oil spill disaster, in order to show the networks, roles, and conversation dynamics of official accounts during a significant disaster event. 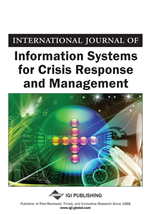 This research will lead to greater understanding of potentially influential organizations and conversation structures during a disaster response, helping to affect future policy for disaster communication dissemination through informal online networks. We begin by discussing online communication and extreme events, governmental disaster response, and organizational networks following disasters before turning our attention to the data collection and analysis activities.